ACCORDING TO president of the Subratee Trace Jamaat, Shaheed Allaham, 2008 marks 75 years since the mosque was founded. It was in 1932 that a group of Muslims discussed the erection of a mosque on land donated by brothers Haniff and Ahmad Mohammed, of Gasparillo. They built a small wooden building on the site in 1933. 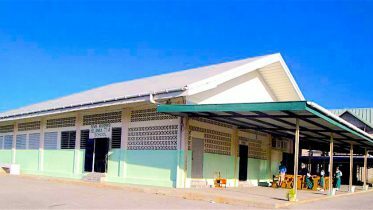 By 1954 the structure had become too small to accommodate the growing Muslim population in the area and it was replaced by a larger building. In 1955 Allaham was made Imam. He was assisted at times by Laziz Mohammed and Zainool Allaham and served until 1968 when ill-health forced him to give way to his son Yaseen Allaham, who served from 1968 to 2007. “The interesting thing is the children, grandchildren and relatives of the founding members are now serving in the mosque,” Shaheed said. Latiff Mohammed has been treasurer since 1974. His grandson, Jameel Mohammed, is the current vice-president. Allaham’s sons serve in various positions including Shamir Allaham (PRO), Fazar Allaham (Imam and Secretary) and Amir Ali (committee Member). “We can see that these people ensured that this way of life was passed on to their offsprings so that we can strive in the path of Allah. As with all organisations, the road to achieving 75 years was not easy and there were many trying times,” Shaheed said. He added from its inception the Jamaat waas independent and they maintain that independence up today. Allaham expressed his gratitude to members of the mosque who have demonstrated their commitment and dedication over the years. “We now have Iftaars (offerings) increasing year after year,” he said. Today, Maktab classes are still carried out weekly. The leadership of the Jamaat feels these classes are very important in the propagation of the religion. According to Allaham the Jamaat has never allowed an Islamic observation to go unnoticed Every Wednesday there is Bayan (workshop) which helps to educate members. “We hope after 75 years that we can reflect and see where we have come from and plan for the future with the same co-operation from the general membership. We thank all those, past and present who have laboured to keep this organisation alive for 75 years,” he said. 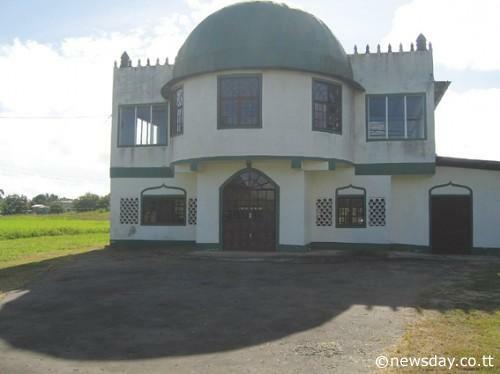 Be the first to comment on "Trinidad Mosque celebrates 75 years milestone"